Buy direct from Simon with PayPal (UK Customers only) only £6.99 inc. postage and packing. 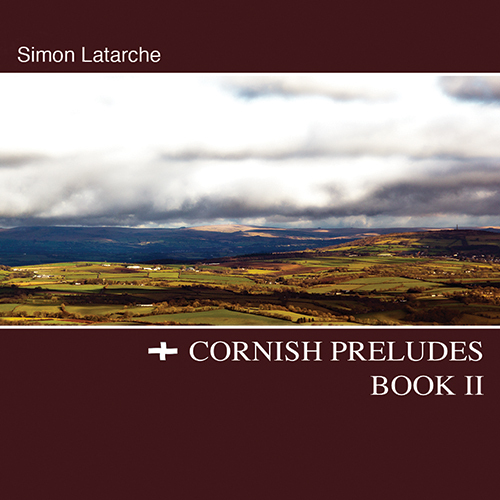 Following the success of the Cornish Preludes CD it was a natural progression to continue this tradition and write a second set of twelve. This collection includes more arrangements for the seven piece band and reflects this jazz ensemble’s development since the release of the first disc two years ago. As with the first set, these twelve Preludes, similar to those written by Debussy in the early part of the twentieth century, are not linked by key, however, they do contain many of the musical features associated with this style of composition. Throughout these pieces a musical ear may spot ostinati, pedal notes, modes, whole tone and pentatonic scales, augmented and diminished chords, all performed with a fair sprinkling of improvisation. This CD can be purchased online via PayPal For £6.99 inc. Postage and packing.